It’s nice to be recognised as someone who is actively contributing to their industry. Today I discovered I am Smashing Magazine’s ‘Person of the Week’. I met Vitaly from Smash Mag at Fronteers Conference in Amsterdam in October this year and I found him to be a very kind and generous guy. My bat sense proved correct! 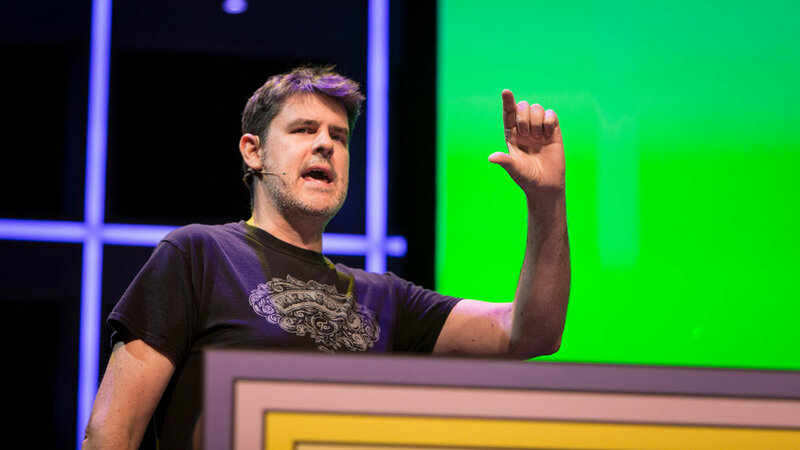 I was honoured to be invited to speak at Fronteers Conference in Amsterdam in October this year (2018). Amsterdam is one of my favourite cities (no, not because of THAT (well, not any more)) - it’s a society that is very forward thinking in terms of health, transport and public policy and I wish our own government was as interested in, and cared about, the lives of its own citizens the way the Dutch government appears to. Anyway, I’d spent a great deal of time preparing my talk, panicking, getting nervous, overshooting my time in rehearsals and generally getting a bit lost with the narrative but eventually I finally wrapped it up, packed my bag and hopped on the plane to the Netherlands where the best ever conference care plan kicked in. Right from the off I felt looked-after - I was met at the airport and taken straight to the hotel for a little rest. The hotel was wonderful (albeit a bit of an eye-full of mismatched decor which I slowly began to understand and, by the end of my stay, fully appreciated), the staff were great and once I’d showered and unpacked the speakers were whisked off on a canal boat for drinks and a meal so we could meet the other speakers and organisers. I won’t bang on about everything we did over the coming days - this post is really just to highlight how well the event was coordinated, how every time I needed some information it was there, how nothing was too much trouble and how much of a fun time I had. The talk went well and was very well received (thankfully) and the rest of the time was spent enjoying other speakers’ talks and enjoying wonderful Amsterdam. It went so well in fact that I had several requests to speak at conferences in 2019 so watch this space if you’d like to join me at FITC in February, FWDays in March and SmashingConf (potentially in Toronto in June). Finally I’d like to offer my warmest thanks and heartfelt praise to the organisers of Fronteers for genuinely caring about their speakers and attendees.